Home / Health / What’s the hype about superfoods? When you hear the term ‘superfood’ the infamous açaí (pronounced ah-sigh-ee) probably springs to mind. The açaí berry has been around for thousands of years known for its ‘tremendous health properties’ – ie containing amino acids, fibre, vitamins, minerals, essential fatty acids and natural antioxidant properties (responsible for protecting against free radicals – which contribute to ageing and the development of some diseases). In recent years the açaí berry has been pulped, frozen and introduced into the Western diet in the form of smoothie bowls called “açaí bowls”. Açaí bowls have proved to be extremely popular and have been marketed as a ‘superfood’. But what exactly is a superfood? In the food world, kale is often touted as the Arnold Schwarzenegger of vegetables. Packed with calcium (for maintaining healthy teeth and bones), vitamin K (helps maintain normal blood coagulation) and vitamin A (important for vision and immune function); kale lives up to the hype of a superfood, but so do many other dark green leafy vegetables. Spinach for example is also an excellent source of vitamin A and vitamin K as well as iron, fibre and magnesium. It also contains the most folate among leafy greens which is needed for cell division. If kale and spinach aren’t your thing, broccoli can also pack a punch boasting high folate, vitamin C, protein and fibre. But despite these health benefits, you could argue that all vegetables are ‘superfoods’ in one way or another. Goji berries are allegedly able to boost immunity and brain activity, and protect against cancer. Sure, they contain important vitamins and minerals such as vitamin C, iron and selenium but there is little evidence to support the health claims exhibited by many articles. Likewise, blueberries are touted as antioxidant powerhouses because their packed with vitamin C, manganese and anthocyanin (a type of antioxidant). But anthocyanins that are found in blueberries are also found in many other types of berries including raspberries, strawberries and blackberries. Salmon is high in vitamins, minerals, protein and omega-3 fatty acids. Omega-3 can aid in fighting inflammation and can help reduce the risk of developing cardiovascular disease by raising the HDL or the ‘good cholesterol’ in our blood. However, it’s important to note that other oily fish such as sardines, mackerel and trout have roughly the same amount of omega 3 as salmon. Therefore, the benefits that come with eating salmon, can also be obtained by consuming other types of oily fish. Ancient grains are another popular sub-group of ‘superfoods’. Ancient grains encompass foods such as quinoa, spelt and teff. Quinoa, spelt and teff are all wholegrains (whole unprocessed grains) which means they contain higher amounts of protein and fibre compared to refined grains like white rice. Quinoa is also one of the few plant-based complete protein sources that contains all 9 essential amino acids (essential – meaning amino acids that cannot be made by the body and therefore need to be obtained from the diet). Therefore, if you are following a vegetarian or vegan diet, quinoa is a great way to ensure you are receiving essential amino acids that you would usually receive from products like meat and eggs. If you don’t follow veganism/vegetarianism however, brown rice is a great (and cheaper) alternative to grains such as quinoa. Chia and hemp seeds are ballyhooed for their nutrient powerhouse properties but do they deserve their halo? Chia seeds are packed with omega-3, antioxidants, protein and fibre but with a price of ~$28 per kilo, it costs more than twice the price of most other seeds. Hemp seeds on the other hand offer double the amount of protein found in chia seeds and cost around $10 per kilo. Despite their differences, chia and hemp seeds are both considered complete protein sources making them another viable option for vegetarians and vegans. 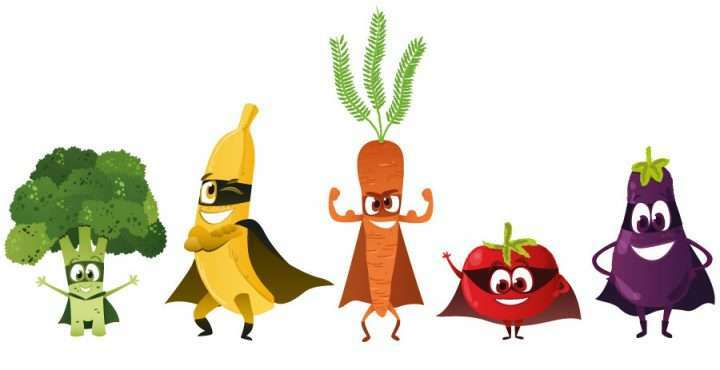 And although these tiny superfoods boast great nutritional benefits the downside is they are high in energy. One level tablespoon over a bowl of cereal or in a smoothie is ideal. Over the past few years, ‘superfoods’ have become extremely trendy. Marketing strategies have utilised exaggerated health claims to lead consumers to believe that superfoods are superior to other foods and can achieve amazing health benefits. But when you consider the other unprocessed foods that form part of the major food groups that aren’t considered ‘superfoods’ you could argue that they are all healthy and nutritious in their own way. And when it comes to feeling good and maintaining a healthy lifestyle, no single food, including ‘superfoods’ can counteract the negative side effects that come with eating unhealthy foods. The key is to eat a variety of fresh wholefoods consistent with the Australian Dietary Guidelines so that all food groups can work in synergy to benefit your overall health.